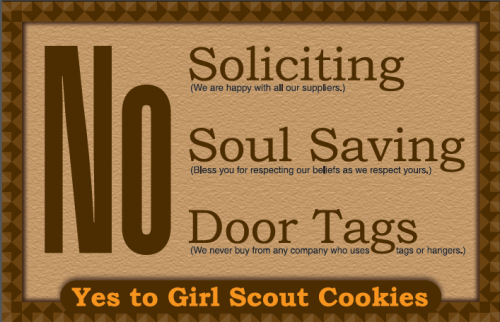 I hate to be completely unsocial, but I don’t want any soliciters knocking on our door. 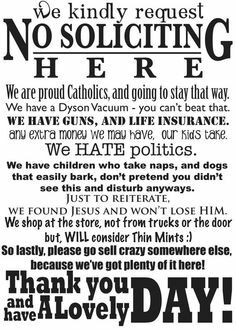 This has become a problem for us since moving into the city. When we lived 20 miles out of town, we got a few. 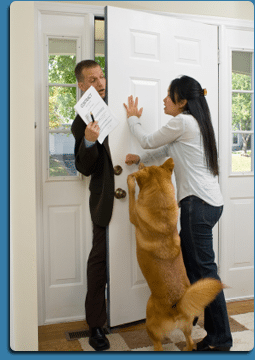 But living in town has exponentially increased the number of soliciters we have knocking on our door. 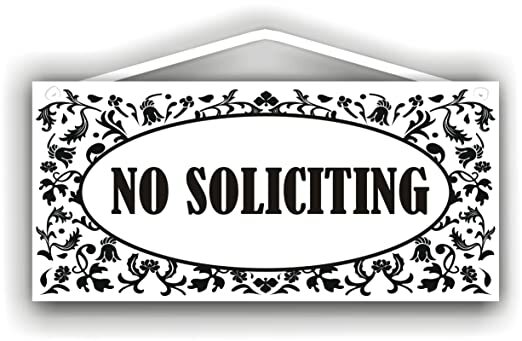 I finally decided to put up a “No Soliciting” sign. And I bought some extras. If you want one, please either send me an email or submit a comment on this post.